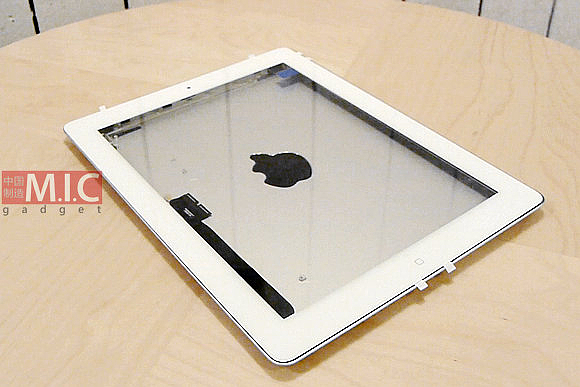 We’ve seen various bits and parts that appear to belong to Apple’s new iPad 3, including what may be the screen, already at this point. Now, Chinese tech blog M.I.C. Gadget has gotten ahold of both a glass face piece and a rear shell that it says belongs to the new tablet and ‘assembled’ them to create a mockup. They then shot some video of it and tested various third-party cases and Apple’s own Smart Cover, verifying that it does indeed still work with the new casing, although the ‘slope’ of the edge has changed. They also got a dock connector part and verified that it matched up with the casing, not that any of these parts can be verified as legitimate of course. 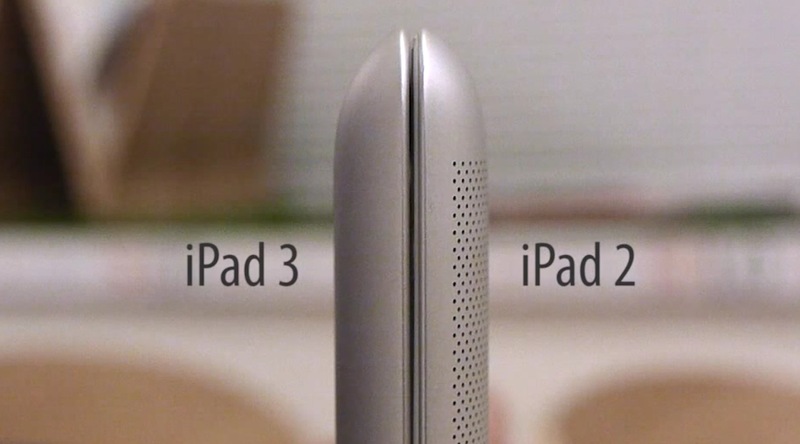 But at this point, with many sites having shown off parts that match up with these well, it seems likely that this is the general shape that we’ll be seeing the iPad 3 take. You’ll notice that the thicker casing of their ‘iPad 3’ back casing means that there is a deeper angle along the edge. Nothing about this screams fake to me, and although it is impossible to be sure, I’d say that this is fairly close to what we’ll be seeing on March 7th when Apple unveils the device for real. The site also makes some claims about features and prices that were formerly reported by 9to5Mac. Namely that the prices would stay identical to the current iPad and that it would come in both white and black. Notice that this version of the iPad does indeed feature a home button, which would put the kibosh on the speculation that went on about Apple eliminating that from the design. The biggest new feature of the iPad 3, the rumored Retina display, doesn’t make an appearance here. Looks like we’ll just have to wait until next week to see a fully functioning model.